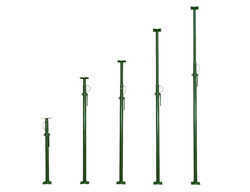 Available with us is a wide range of spans and props which is fabricated using superior quality raw material. These are customized as per the specifications of our clients and are known to offer optimum performance even in rugged conditions. High level economy and performance can be achieved by the use of adjustable Beam Spans in conjunction with steel panels or with plywood forms. Both outer and inner members are provided with tapered bearer plates for easy removal. Prop is a labour and time saving device to support shuttering and centering. It is made out of 60mm O. D. & 48mm O. D. Tubes moving in each other telescopically. A heavy duty s. G iron nut provides fine adjustment of height of prop. Top and bottom plates are provided with nail holes for wooden runner and holes for bolting. While using props one above the other, it is essential to have bracing in two directions just above outer tube for height beyond 3500mm. 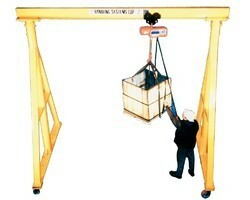 Use of props by double staging is recommended upto 7000 mm height only. The threads are rolled and not cut threads. Galvanized tripod for formwork props. 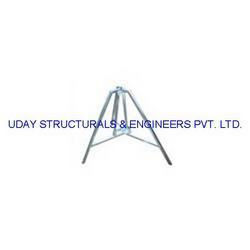 We are engaged in providing our clients with Tripod Stands that are procured from the trustworthy sources, who make these using high quality raw material such as brass and aluminum. These products are also available in a powder coated finish and are especially developed for providing maximum stability and strength. Moreover, all our products are available in various sizes, shapes and designs to fulfill the diverse needs of our clients. Looking for Spans & Props ?